Winter is here! The most beautiful decorations are the ones found in nature. Here's a simple and quick garland that I made for my front entryway! 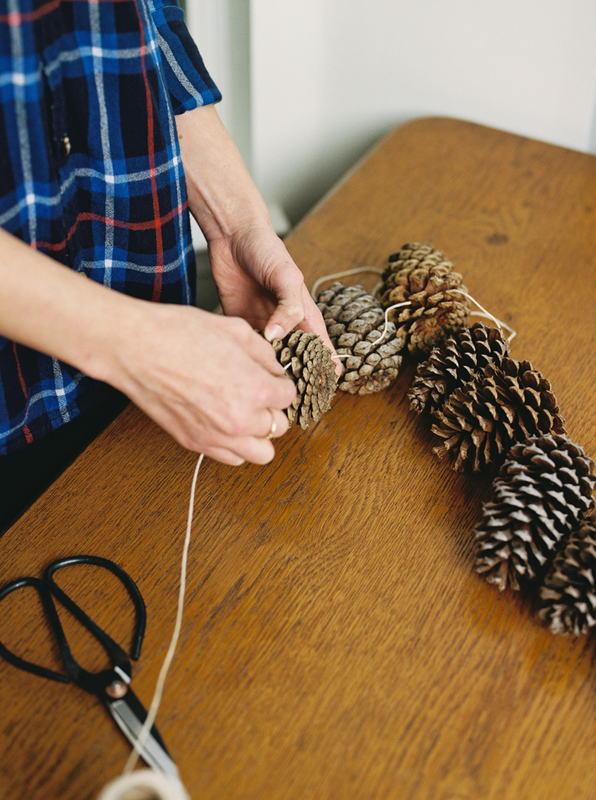 2) Wrap the twine around the pinecone and use a small dot of hot glue to hold in place. 3) Tie up and enjoy!